The Youth Ministry of First Baptist Church is a community committed to walk the road of life together and help shape one another into loving and graceful disciples of Jesus. 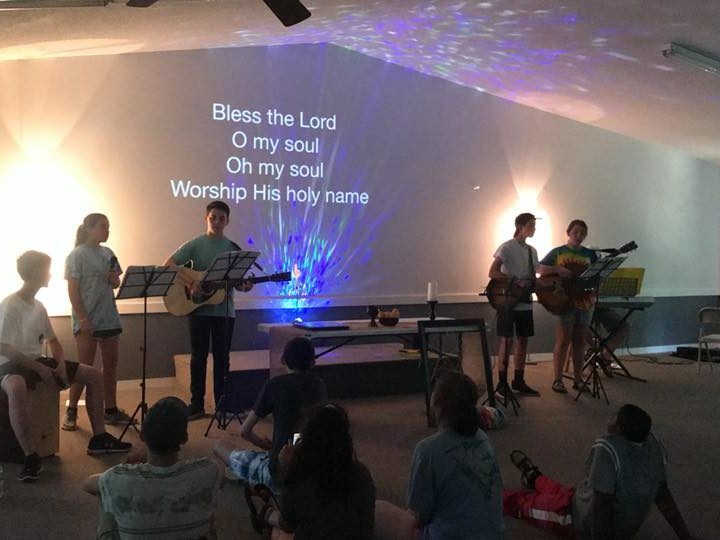 Through worship, service, and spiritual formation we seek to provide opportunities for transformation to occur in the life of each youth as an individual. Our ministry involves students in grades six through twelve. Our goal is to empower and enable our youth to learn about and take ownership of their place in God’s work in the world. We strive to extend the love of Jesus to all unconditionally, building relationships that enable all youth and their families to experience love and acceptance. We meet on the top floor of the D- Building after the 9:30 am morning worship service. At 10:45 am we gather for announcements and then move to age graded, Bible study classes. FBC Youth . . .
During the fall and spring semesters we gather for Youth Praise Team (5:00 PM), Youth Supper (5:50 PM), Discipleship groups (6:30 PM). Youth leaders assist in teaching and the parents provide the meal. Youth area opens at 5pm. At 6:00pm we begin with announcements and prayer time. Our Wednesday evening activities include mission activities and Bible Study with a variety of creative aspects. Once a year, FBC’s youth plan and lead the morning worship service on Youth Sunday in order that they may give voice to their faith journeys and lead the congregation in praise, confession, proclamation, and response. Our youth also lead the Hanging of the Green service to begin Advent and are frequent leaders in worship throughout the year. 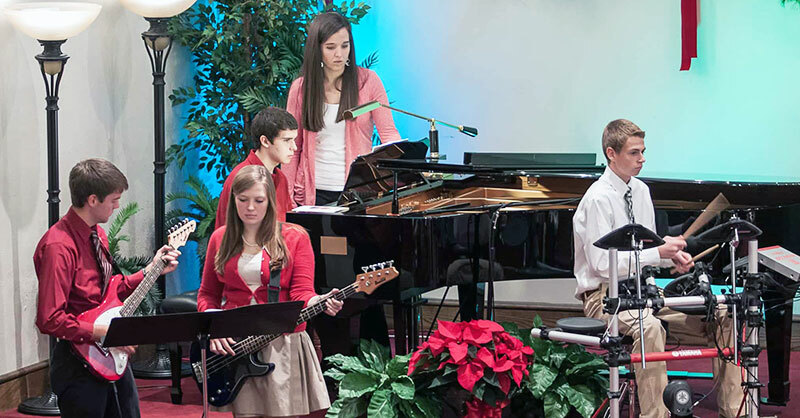 The FBC youth are incredibly blessed to be a part of a congregation that supports them, loves them, and encourages them to bring their true selves to worship. Their leadership through ushering, praying, making music, giving testimonies, reading scripture, preaching, and receiving the offering help us encounter God in fresh ways. Mid-Winter Retreat is a weekend away to reconnect with our group, our friends from the CBFNC churches, and most of all with God. We worship, ski, sing, play, eat, study, rest and pray together. Spring Break Retreat happens the week after Easter when school is out. We load up the bus and head to the beach. We combine mission work, Bible study, games, fellowship and good food to make up this week of renewal and commitment. Back to School Retreat at Camp Awanita is a weekend of fun and introduction to the Youth Group for our 6th graders and a chance for our High Schoolers to take on a leadership role. There is a student-led planning team that leads the weekend. This retreat focuses on Bible study, community building, messy games and fellowship at Awanita Valley in Marietta S.C. Fall Retreat to Fort Caswell is a great time of renewal. Faith in 3D invites young people from different faith experiences to explore their common faith in Jesus Christ through worship, education, and community building. This retreat happens every 4 years and is scheduled over MLK weekend for 2017. 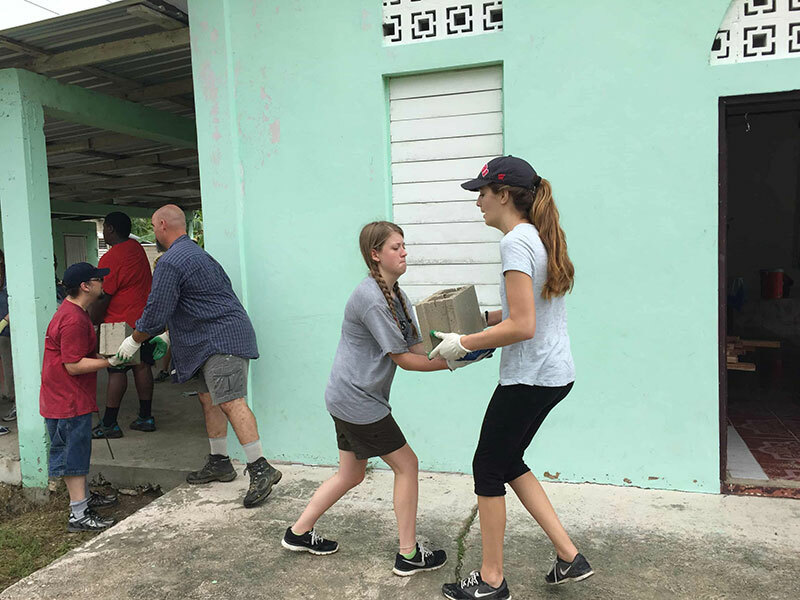 We regularly serve in the name of Jesus and every three years we plan an international mission trip for high school students. Recent Youth Ministry Events! Woo-Hoo! Awanita Back to School Retreat: We had a great start on the year as we received 6th graders into the youth group and journeyed on together in the Lord.